If you are a regular user of physiotherapy services, you’ll know that it’s a broad field, with many specialities. And you may think that to get the care you need it’s necessary to visit a rehab physio clinic with many practitioners, despite the fact that simply travelling to your physiotherapist may risk aggravating the condition for which you need treatment. Well, that used to be true, but not any more. 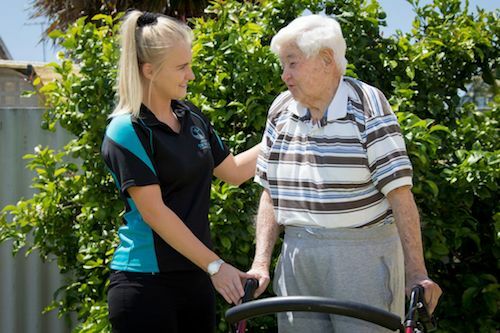 With On The Go Rehab, physiotherapy patients in Perth can get the treatment they need in the comfort and safety – as they say – of their own homes! Musculoskeletal injuries/Orthopaedic – whether traumatic, or the result of recovery from surgery (e.g. Total Hip or Knee Replacement), we can treat these using manipulation, guided exercise routines and, where appropriate, the latest electrotherapy techniques. Cardiorespiratory – we have mobile physiotherapists skilled in treating and managing a wide range of disorders such as emphysema, asthma and chronic bronchitis. Many of these conditions require a protracted series of visits. We’ll be happy to discuss a program of at home physio treatment that suits your schedule and your budget. Neurological disorders such as stroke and traumatic neural lesions require the attention of a skilled physiotherapist to assist the slow process of repairing the neural pathways that have been disrupted. Our team includes physiotherapists who have these skills, and who will arrange a program of visits to provide physio treatment at home. Women’s health – we have physiotherapists with special training in this field. Our physios can treat you at home for such disorders as post-partum pelvic floor weakness. Where necessary, we can refer you to a specialist for disorders which are not treatable by physiotherapy.